A few days ago I got the urge to build a memory keyer into my MFJ Cub. There isn't much of a practical reason for doing this as the noise level on 20m makes the band unusable without the MFJ Noise Canceler which is plumbed into my K3 and too much hassle to disconnect and use with anything else. But I thought it would be a fun thing to do. 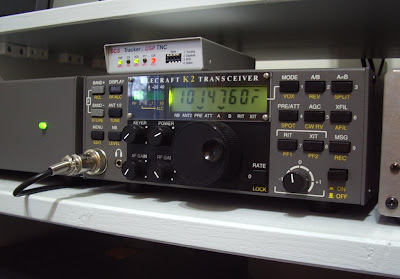 I really wanted to use the SKC keyer that is in the DC20B transceiver as it has some nice features and is easy to use. It uses an Atmel ATTiny13 microcontroller. I happened to have a spare one in my parts box and I had managed to find a way to program it using a PICkit2 programmer designed for Microchip parts. Unfortunately my unorthodox programmer always fails trying to read the contents of the chip so I was unable to copy the code from the chip in the DC20B to my spare chip. Nor could I find a source or hex file for the SKC keyer or indeed any other keyer using an ATTiny13 chip. So I had to give that idea up. I did find a couple of source files for Microchip PIC based keyers on K1EL's website so I decided I would have to go with that. A couple of years ago I had bought a MikroElektronika EasyPIC5 development system with the intention of experimenting with microchips. Unfortunately I found PIC programming too difficult so I gave up. However I could compile the K1EL keyer code and use the EasyPIC5 to program it into a chip, which I could then build into a keyer that would go in the Cub. Perhaps I could even understand enough of the code to modify it to work the way I wanted. My first problem was compiling the code. The compiler seemed to object to a label called CONFIG in the source code which caused a fatal error. Eventually I had a lightbulb moment that perhaps CONFIG was a reserved word in the current version of the MPLAB compiler, so I changed the label and the reference to it to CONF. That overcame that problem. The other problem was that numerous lines in the program produced a message 306, "Crossing page boundary - ensure page bits are set." I didn't have a clue what that meant, and although Google turned up a few pages that mentioned the message I didn't understand what I was supposed to do about it. The keyer code on K1EL's website was written for the PIC12C509A chip so I had ordered a couple from PIC Projects on eBay. They arrived in the post this morning. That was when I discovered the second problem. The EasyPIC5 development board does not support PIC12C509A chips. In fact, it doesn't support any PICs that have C in the number, only ones that have F. It appears that the F chips have Flash memory and can be reprogrammed while the C chips can only be programmed once. So I have two 12C509A chips I can't use. I have now ordered some 12F509 chips which are supposed to be compatible with the 12C509 and which my programmer is supposed to be able to program. In a few days time I will discover if that is true and whether message 306 means anything important. 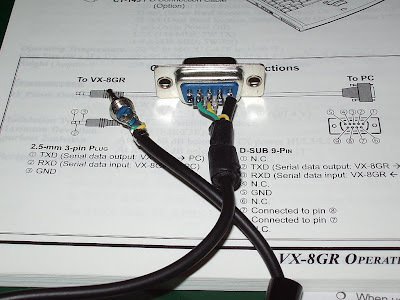 I have spent a frustrating couple of hours trying to make a PC cable to communicate with the VX-8GR. In the VX-8 Yahoo group it was stated that the cable is the same as for the Kenwood TH-D7AG a diagram of which is given in YO3HJV's blog. It was also pointed out to me that there is a diagram in the back of the manual - the one place I never thought to look! It is easy enough to make up. No level shifting components needed. Just a 2.5mm stereo jack for the radio end and a 9-pin D plug for the PC end. But the damn thing refuses to work. I have tried a Prolific USB to serial adapter and an FTDI one. I've tried the FTBVX8G software and I've tried a terminal program to see if I can detect any data. Nothing. Nada. Incommunicado. I know the cable is OK because if I short between tip and ring of the jack plug I can type in the terminal program and see the text I typed echoed back over the connection. The only thing I can think of is that the standard 2.5mm stereo plugs I have here are a bit too short. It seems to me that the plug isn't locking firmly into place, more that the radio is trying to push it back out again. It's as if the tip needs to be a bit longer to get past the spring loaded contact in the socket. I measure 7/16in from the base of the plug to the tip of it. I had a similar problem trying to make a cable to send audio from my FoxTrak APRS tracker into my Motorola GP300. Then I had a plug from a speaker mic to compare it with and I could see that it needed to be longer. Perhaps someone who has a VX-8G PC cable that works could measure the plug on theirs. Or perhaps someone will spot the stupid wiring mistake I've made from the photo I've posted. I see that on Christmas Day (though of course it wasn't Christmas Day in Ukraine) the developers of the MixW sound card digital modes software released the long awaited MixW version 3. I couldn't find much information on the website about what new features it contained. "MixW3 is a next step on the way to the upcoming multiplatform MixW project. It proposes a new Telnet dialog with talk over DxCluster support and a possibility to have a backup copies of your log on our server, dx.mixw.net." Nothing about what's new in the version available now. None of these "proposals" are things that I personally want, and I'm not even sure that chat over the DX Cluster will be welcomed by many users - there are enough non-spots cluttering it up already." I decided to download the new version to see what I could find. As the screenshot above shows, it looks pretty much like MixW 2.19 which has been looking dated for years. I didn't see any new modes, nor support for RSID. What is even more disappointing, given the apparent lack of new features, is that this upgrade is not free. The website states "MixW3 upgrade is free for those who stay with us 10 years or more." I registered MixW a long time ago but not long enough, it seems. An upgrade to MixW3 will cost me the equivalent of $20 plus VAT. At the time I paid for MixW It really was the premier digital modes software and I felt it was well worth the money. But after a few years it seemed as if MixW was neglected. In the intervening time new, more modern looking full featured competitors came on to the scene like Ham Radio Deluxe and Fldigi, which were also free. I switched to Fldigi a couple of years ago as MixW never properly supported the K3. And nothing I can see in the new version gives me any inclination to switch back, even if I could use the new version for free. There is nothing wrong with charging for ham radio software. But charging for an upgrade in which the only apparent change is the version number and then expecting buyers to hang on patiently while new features are added won't work in a market where so many good products are free. Perhaps the multiplatform MixW 4 will be a must-have upgrade. I'm happy to wait and see. 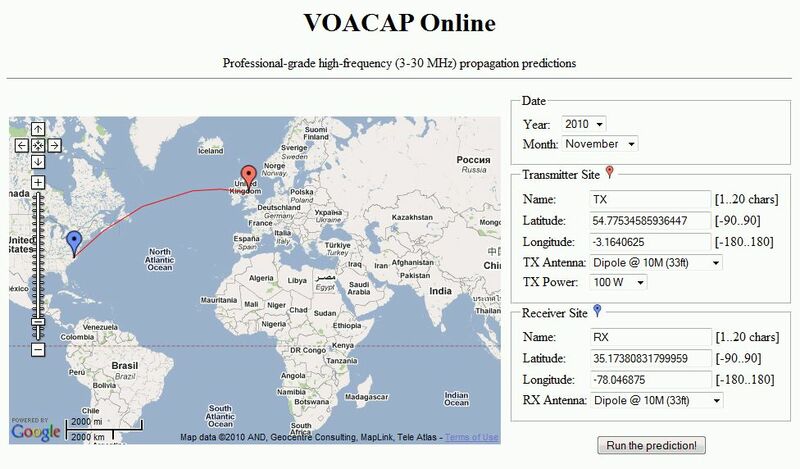 I have just added a new article, Installing APRSISCE/32, to my website G4ILO's Shack. It is a pictorial tutorial showing how to install the APRS client written by KJ4ERJ and get it running. Over the next couple of months I hope to add several more tutorials covering different aspects of using the program and connecting it to a radio, in the hope that they will encourage more people to get on to APRS or at least use the information that it can provide. I have had a bit of a change round in the shack recently. Since getting the Kenwood TM-D710 which is used for 2m FM which is the vast majority of my VHF activity, the Icom IC-910H has really been under-utilized. 70cm is a dead band here and there isn't too much 2m SSB activity. Besides, I never really liked the Icom. So I decided to swap it for an old Spectrum Communications transverter that I have and sell it in the new year. The Kenwood has been moved into the "second rig" operating position. And the desk mic I used with the Icom is now attached to the Kenwood. I had some CAT5 UTP network cables which are terminated in the same type of plug Kenwood uses for a mic connector, so I cut one in half and made up a cable for the desk mic. Despite being unshielded (UTP stands for Unshielded Twisted Pair) there doesn't seem to be any RFI even at 50W. And the reports I have had so far suggest that it sounds good. 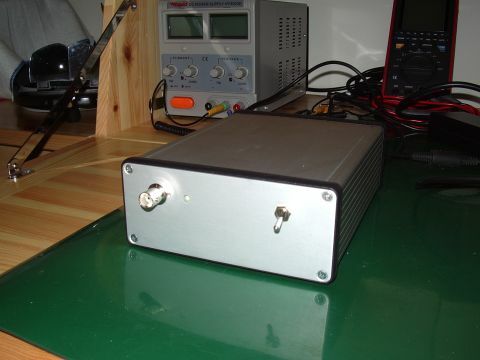 The Spectrum transverter runs about 20W output. This is less than I would like for SSB. My plan was to set the transverter drive so the peak output was 5W and use it to drive a 50W linear amp that I have. But when I set the power to 5W, as soon as I put the cover on the case it dropped to 1.5W. So I thought that perhaps the whole thing needs realignment. Unfortunately it did not go well. The transverter, which I bought umpteenth-hand in a private sale some time ago, had obviously suffered the depredations of the ham-fisted twiddler. Two of the ferrite tuning cores in the Toko coils were cracked and could neither be adjusted nor removed so they could be replaced. Despite this, the transverter receives pretty well. However, while trying to realign the transmit side to solve the problem of changing power output when the case cover goes on, I noticed that there was often power out when the key was up. There was clearly some instability present. Although I could adjust the trimmers so there was no unwanted output, I could not eliminate the changing output as the case cover is put on. I do not have the test equipment (a spectrum analyzer) to be sure that the output is clean and I started to have doubts about the whole thing. I did not want to risk wiping out the neighbour's TV reception whenever I use 2m SSB. So I decided to scrap the transverter and order an XV144 internal transverter module for my K3. It is on its way, and hopefully will arrive in the UK before the increase in VAT takes effect. I started up my APRS gateway this morning and noticed an unusual symbol on the screen. I clicked on it and discovered that WE7U had posted an object to mark the epicentre of a minor earthquake measuring 3.6 on the Richter scale that occurred about 20 miles to the south of here at around 2300z last night. It was felt in nearby Workington and even across the water in Dumfries and Galloway with some people describing it as "scary". We were completely unaware of it. But now I know what happened, I recall that just after we had gone to bed I heard a noise from the attic like someone was up there and stood heavily on the rafters. I said to Olga "did you hear that?" and she said she thought it was a heavy vehicle passing on the A66. So that was how the earth moved for us. In all the years I have been a ham and home constructor one item of test equipment I have never possessed is a frequency counter. Whenever I have needed to test if something is oscillating I have just stuck a bit of wire in the antenna socket of a receiver and listened for it, and if I have needed to tune an oscillator on frequency I have just tuned it for zero beat using a receiver that has been adjusted as best I could using WWV or similar. 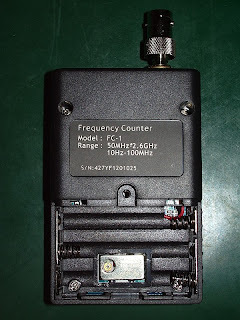 Recently I decided that it would be useful to actually have a frequency counter, preferably a really accurate one. I know that it is possible to buy secondhand lab grade frequency counters on eBay. The trouble is that when your shack / workshop is the size of a broom cupboard there is no room for boat anchors. I didn't even have space for one of the inexpensive desktop frequency counters that are available. I decided that I would have to make do with a hand-held device. Farnell had one, but the price of £140 was rather too steep given the amount of use it was likely to get. I was about to give up when I came across the Yaege FC-1 being sold for about £30 on eBay. My initial thought was that this was such a cheap device that it could not be very accurate and was probably not worth getting. The specification gives the time base accuracy as < 5ppm, which is worse than most ham radio transceivers. However, a bit of searching produced a PDF copy of the manual, which revealed that the TCXO module is user adjustable. I figured that I could get better than the quoted accuracy by regularly calibrating it using my rubidium frequency standard. I ordered one from one of the Hong Kong traders and it came in just over a week. The antenna socket is a male SMA, similar to that used on the Chinese VHF/UHF hand-held radios and the opposite type to that commonly used by Japanese manufacturers. A short UHF rubber duck antenna is supplied with the counter. I ordered a BNC adapter so I could use my BNC whip antennas and also attach BNC terminated test cables. I connected it up to my 10MHz rubidium frequency standard and found that it was already within a couple of Hz of the correct reading. The picture was taken before I set the gate time to 1 second which is necessary to get a reading down to 1Hz. The time base oscillator adjustment is behind the battery compartment so you need to run the device from the charger while adjusting the frequency. You can see the adjuster in the picture on the right. Rather like adjusting the master oscillator in the Elecraft K2 the adjustment is incredibly touchy. The tiniest amount of movement can change the reading by a couple of Hz at 10MHz. It turns out that it is not worth being so picky. The reading does slowly drift by a few Hz over a period of several minutes so you are never going to get absolute accuracy with a device like this. Nevertheless it is better than advertised and pretty good for the money, in my opinion. One feature of the Yaege FC-1 that you don't get with most frequency counters is a signal strength reading calibrated in dBm, as you can see in the top photo taken while I was transmitting a carrier on 145.500MHz. I wasn't able to check how accurate the actual reading is but as a relative indicator the dB measurements seem quite accurate so this could be quite a useful tool for making antenna comparisons. It turns the frequency counter into a digital field strength meter. Although it isn't a lab grade high accuracy frequency counter I think the Yaege FC-1 is a useful addition to my electronic test equipment and is extremely good value for money. I apologize for being even more grumpy than normal but I haven't had much sleep. Olga and I were woken up at around 1 in the morning by a lot of noise outside. It was a group of young people who had apparently been having a party in the house opposite. Despite the fact that the temperature was heading for -7C and the girls, according to Olga who was looking out of the window, were none too warmly clad, they were not simply saying goodbye but continuing an animated conversation. Someone decided the party must be carrying on outside so they switched on a car's headlamps and turned on the stereo very loud. Because of the way the houses are crammed together here with virtually no front gardens this was taking place right below our bedroom window. After ten minutes we were both getting very angry. It isn't often that Olga uses the f word about people. I felt like calling the police, but the chances of them actually making an appearance before the miscreants had slept off their hangovers was pretty remote so we discarded that idea. Olga went downstairs and turned on the lights to try and make it obvious that we had been disturbed. I went into the shack, switched on the K2 and sent a 10W dit on 30m, which switched on the security lights of the nearby neighbours that have them. This did appear to have the effect of making the tiny minds think "gosh, other people live around here and oh my, it's after 1 in the morning, perhaps they are trying to sleep and our noise has disturbed them!" because shortly afterwards the group dispersed and peace and quiet resumed. But neither of us are good sleepers and it took a while before we calmed down enough to sleep again. Hence the foul mood this morning. It has sometimes been a bit annoying that I can't go on any band except 80m after dark because of the problem with security lights. But on this occasion it turned out to be useful. If only I knew that the thoughtless young people had touch sensitive lamps by their bedside I might even have been tempted to try a bit of all-night WSPR! Yesterday I spent a couple of hours trying out aprsg - an APRS iGate that runs on both Linux and Windows which has been developed by Tapio, OH2GVE and Antti, OH3HMI and released under the GNU GPL. The program has no user interface. Under Windows it displays a G icon in the system tray. All configuration is done by editing an INI file, in examples of which all the documentation is contained! Despite its relative simplicity there are a few unanswered questions about how things work, so some trial and error is necessary. The unique feature of aprsg - as far as I know - is that it lets you specify filters to control what is gated from the internet to RF. You can gate packets addressed to specific callsigns or callsign blocks (using a mask) and this can be ANDed or ORed with area based filters (either a box or a circle centered on a point.) It was wonderful in this relative APRS desert to see local stations and objects appearing on RF and being displayed on my TH-D72 and VX-8GR. It was like being back in Prague again! This is not something you would want to do in an area where there is other APRS activity but for someone who lives out of range of any digipeater or gateway aprsg could make APRS usable and fun. The program supports multiple RF ports and can do cross-band gating using the same rules. I didn't try this, and did not understand how to set different call-ssids to the different RF ports. It appeared to me that the gateway and everything connected to it uses the same call-ssid, though this may be my misunderstanding. A significant limitation is that aprsg only supports KISS TNCs (and AX.25 on Linux) but does not provide any way to send a script to TNCs that need a couple of commands to get them into KISS mode. It doesn't support AGW Packet Engine, but those who don't have TNCs might be able to connect it to a TrueTTY virtual TNC for sound card operation. Aprsg provides no support for digipeating - a pity, the possibility of filter-based digipeating would be most interesting. It also doesn't provide a local APRS-IS server for users to connect graphical APRS clients like APRSISCE/32. So you would need to connect your GUI client separately to APRS-IS using a different call-ssid to your gateway. These limitations apart, aprsg is a potentially useful program for anyone wanting to set up an APRS internet gateway. It's quite easy to get going and has a very low resource usage. I came across this website while reading a thread about the new Kenwood TH-D72. It claims to be the best website for current information about working FM satellites. It looks pretty good, but I really need to find the time to look through all the information. There's a blog, too. The trouble with this hobby is that there is so little time and so many interesting, challenging things you can do! My long awaited package from Martin Lynch was finally delivered by UPS on Saturday afternoon and as one reader correctly guessed, it was a new Kenwood TH-D72! I was lucky. The UPS tracking page had been changed to say delivery was rescheduled for Monday, so we went out on Saturday morning. You can imagine how happy I would have been to get home and find a card through the door to say UPS had tried to deliver it! I was pleased to receive the radio and although I did consider wrapping it and putting it under the tree until Christmas Day, the chance of being the first blogger to write about it was too great to resist. This is not meant to be a review of the Kenwood, more an account of my first impressions of the radio and how it compares with the Yaesu VX-8GR which I have been using for the past few months. The first thing you notice is that the Kenwood is quite a bit bigger than the Yaesu. It's taller, thicker and heavier. Although I think the Kenwood is nicer looking, the Yaesu feels a bit more rugged and I think its plain black finish would take knocks and scuffs better than the Kenwood's metallic grey finish. I'll probably need to get a protective case for it. The additional thickness and weight can partly be attributed to the Kenwood's battery pack which has 1800mAh capacity, compared to the Yaesu's 1100mAh. This should translate into longer endurance in the field. Yaesu does offer an 1800mAh battery pack for the VX-8 series but it is an optional extra for quite a lot more money. Still, there is no question the slimmer, smaller VX-8GR slips more easily into a pocket for about-town use. The TH-D72 comes with the usual pathetic SMA socket for the antenna and an equally pathetic dual band dummy load, er, I mean whip antenna. The first thing I did, and I mean literally the first thing, was to fit one of my SMA to BNC adapters so I can use any of my collection of BNC whip antennas with the rig. The SMA socket sits deep in a large recess on the top face of the Kenwood, so I was able to use one of the chunky gold plated adapters rather than the slimmer black one that I use on the VX-8GR. I checked with a piece of paper to see if the adapter tightened all the way down to the body of the radio, which is essential to avoid the risk of snapping the SMA at the first accidental knock. It didn't, so I added a steel washer to fill the gap. I covered the knurled base of the adapter with a layer of self amalgamating tape to hide the gold finish and once an antenna is fitted you wouldn't know that the BNC socket was not standard equipment. Why couldn't the manufacturers fit one in the first place? By the way, neither of these radios come with a wrist strap - the ones shown in the picture were salvaged from old mobile phones in the junk box. One of the main reasons I decided to get the Kenwood TH-D72 even though I had the VX-8GR was that I was very unhappy with the performance of the Yaesu's GPS which is slow to acquire a fix and usually can't manage it at all from inside the house. I found this a real nuisance as often I just could not be bothered to hang around waiting for it, while the chance of acquiring a fix once you are on the move is even worse. As you can see from the picture above, the Kenwood has got my position while sitting on the bench being photographed while the Yaesu's GPS screen was (and remained) blank. The Kenwood has a display to show how many GPS satellites it is receiving and as you can see from the picture above, even on the bench it does quite well. This is a nice screen to have, but with this exception I prefer the Yaesu VX-8 display which shows more information at a glance. The Kenwood display often consists of a couple of short lines of text and you have to page through several screens to get all the information. However I do like that the Kenwood position screen shows the grid locator square - the Yaesu doesn't. The TH-D72 has the ability to plot your track and store it in memory - not something I can see myself using though. What I do consider very useful is the ability to enter and store the co-ordinates of several locations or waypoints. You can then select one and one of the Position pages will display your distance and bearing from it. This will be very useful during WOTA operating as I will be able to enter the exact co-ordinates of the summits I intend to visit, eliminating the difficulty sometimes experienced of identifying the summit on the ground! The TH-D72 is virtually a hand held TM-D710. It has almost the same functionality of its bigger mobile brother, in fact more: it supports the Kenwood Sky Command remote control system which my European D710 doesn't. A pity - it would have been fun to see if I could have used it to remote control my Elecraft K3, which uses a command set similar to the TS2000. In common with the D710 the D72 has hierarchical menus. Personally I prefer the menu system of the VX-8 series, which has just two linear menus, one for radio settings and one for APRS. I know where the ones I most often use are and can quickly zip to them using the rotary control. The Kenwood menus require a lot of clicking with the four way directional button thingy. If you want to connect your VX-8 to a PC for memory management you need to purchase third party memory management software and an interface cable. 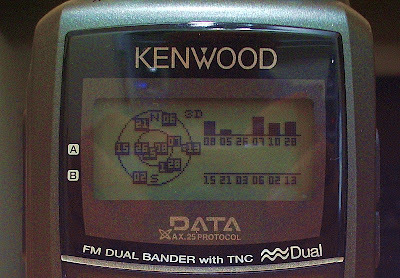 Kenwood provides the memory management software free and the TH-D72 has a USB port which can be connected to your computer using a provided, but in any case standard, USB cable - a significant saving. Through this cable you can not only manage the memories you can also edit all the radio's settings and access the built-in packet TNC. This appears to be completely compatible with the one in the TM-D710. I just changed the COM port number and APRSIS32 as set up for the D710 was immediately able to use the D72 instead. 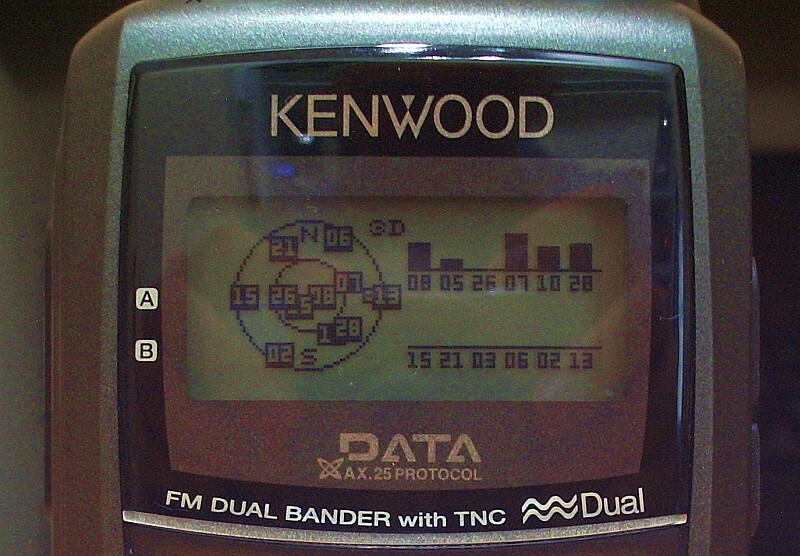 A menu option allows the internal GPS data to be output over the same serial connection. I haven't experimented with this, so I don't know if this can be done at the same time as accessing the TNC or whether APRSIS32 would be able to take advantage of it. Hopefully the TH-D72 will, like the D710 (and unlike the Yaesu radios) be software upgradeable. I discovered, to my disappointment, that my APRS repeater objects being transmitted by my G4ILO gateway were displayed by the VX-8GR but not by the Kenwood. The packets were received but were apparently considered to be invalid. A bit of research by Kai Gunter, LA3QMA led to the conclusion that this is a bug, not just in the TH-D72 firmware but in the TM-D710 as well, as the same objects were displayed by older model Kenwoods. The problem is apparently caused by the time-stamp in the objects created by APRSIS32 which is in local time (ending in 'h') instead of zulu time (ending in 'z'.) 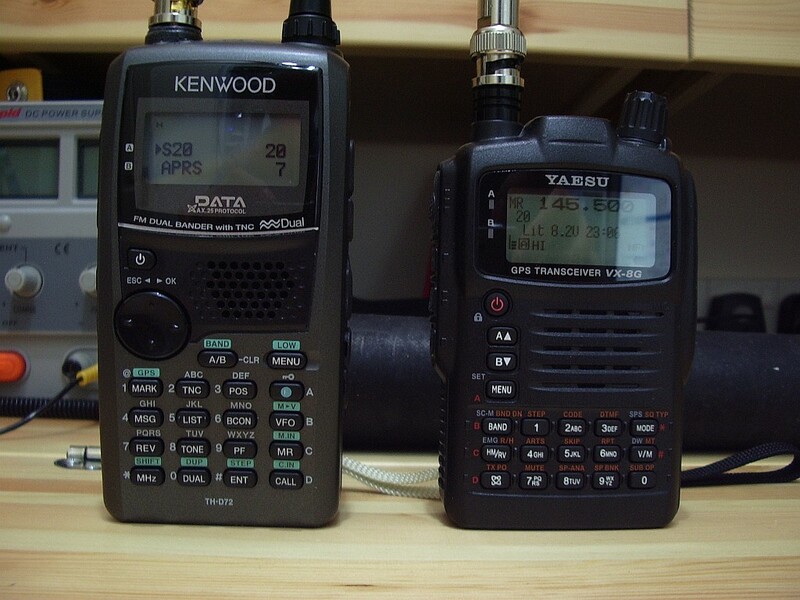 The objects are correct according to the APRS spec, so the Kenwood should display them. The TH-D72 is full duplex. 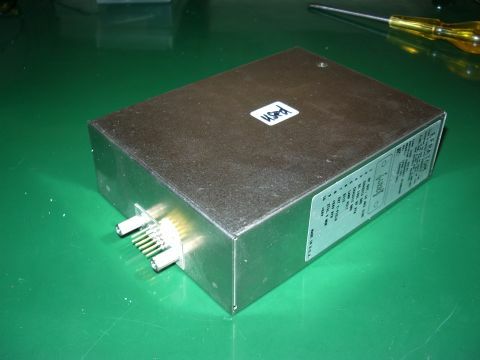 That is, it can receive on 70cm while transmitting on 2m or vice versa. There are very few current model radios that can do this, one of which (the Alinco DJ-G7) doesn't do it very well as 70cm is severely desensed by the 2m transmission. This would make it a good choice for FM satellite operation allowing you to hear your own signal. One of these days I will try this, I just need to get round to making a suitable dual band antenna. Another neat feature of the TH-D72 is the nine EchoLink memories. This allows the radio to store the DTMF sequence needed to connect to up to nine different conferences or nodes so you can recall them by name and transmit them to your local EchoLink repeater. If you use EchoLink it is a real boon as I can never remember node numbers - heck, I still can't remember my mobile phone number! The Kenwood TH-D72 is quite an amazing radio packing an incredible number of features into its small form factor. However I would not go so far as to say it is a better radio than the VX-8GR. There are things I like and things I dislike about each of them. 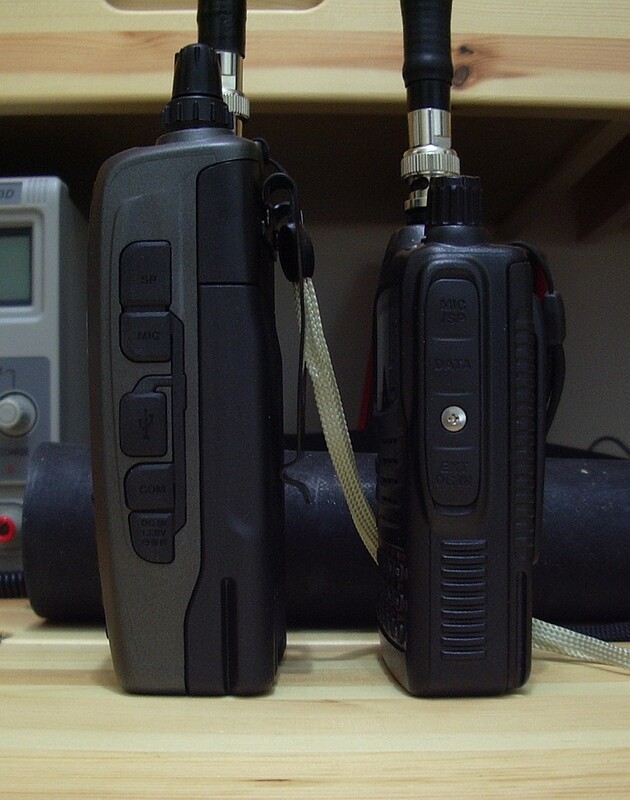 Yaesu VX-8GR - Like: smaller size, lighter weight, feels more durable, more informative displays. Dislike: deaf GPS. 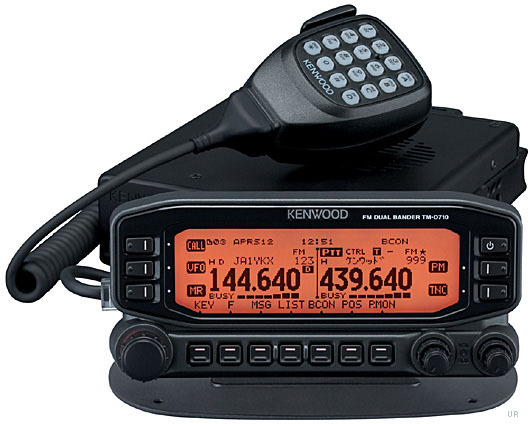 Kenwood TH-D72 - Like: sensitive GPS, editable waypoints, accessible TNC, EchoLink support, full duplex. Dislike: hierarchical menus, plain displays requiring scrolling through pages to view all information, more bulky. In the UK, the VX-8GR is being sold for quite a bit less than the TH-D72, even at the discounted price I got from Martin Lynch. If you don't want to connect the radio to APRS software on a PC, aren't bothered about getting your GPS position indoors and never use EchoLink then you probably won't think the Kenwood is worth the extra money. Though it does include a higher capacity battery as standard and if you want memory management software then both this and the connecting cable will cost you extra for the Yaesu. I'm still making my mind up which of the two of them is going to be the keeper but I suspect it's going to be the Kenwood. The Metropolitan Police are denying that the incident in which a car carrying Prince Charles and his wife came under attack by student demonstrators occurred through a failure in radio communications. Reports that royal protection officers were using a different frequency to those policing the protest are "untrue", the police insist. The two teams were in communication using email or mobile phones. They what?? Perhaps they had carrier pigeons as a backup. It seems to me that someone needs to knock on the door of Scotland Yard and suggest that they need a tactical digital communications system on the lines of APRS. If the officers escorting the royal couple could have seen on a map display where the demonstrators were and exchanged brief tactical messages with other officers in the area, this embarrassing incident would never have happened. It makes you wonder just how competent our security forces really are. I am a strong believer that "if it ain't broke, don't fix it." I also find that, particularly if it is anything to do with computers, the law "if something can go wrong, it will" operates with near 100% certainty. As a consequence, I an extremely reluctant to upgrade or update anything unless it fixes a problem I've experienced or am likely to experience, or provides new functionality that I actually need. I get anxious whenever the "Windows has new updates" balloon pops up, worrying about whether my computer is going to get screwed fixing some obscure vulnerability I don't understand in some bit of Windows I may not even use. One of the problems of getting old is that you tend to forget things and sometimes I do something having forgotten that the day before I had decided there was no point in doing it. And so, this morning, I decided to update the firmware in my Kenwood TH-D710 in order that it could identify from APRS packets newer radios like the VX-8G and TH-D72, regardless of the fact that I hardly ever use the radio's own APRS display and the update would not affect the ability of APRSIS32 to identify these radios on my PC. I downloaded the update software, browsed the help file that came with it and then ran the program and followed the instructions it displayed. The update went without a hitch. I was a bit concerned when the concluding instruction was to perform a full reset, which I thought would erase all my settings, but I had not seen any dire warnings about this so I went ahead. Sure enough, on completion the Kenwood was now in factory default mode, with all my settings and laboriously entered memory channels lost forever! Arrghh! If only there was a System Restore for real life! Kenwood does provide a free memory management program for the TM-D710, MCP-2A, which can be used to edit, back up and restore memories and settings. However it needs a second serial cable attached to a different port to the one used for the built-in TNC. I had never got around to making up another cable as I don't need computer control of the radio and storing channels in memory manually isn't that hard so I don't usually bother with programming software. Besides, all four serial ports on the shack PC were already used. So I had never tried it. In the hope that it would save me time re-entering the settings and memories, which I could then back up, I installed MCP-2A and moved my serial cable from the radio's control head (the TNC port) to the PC port at the back. But no matter what I tried, the program could not communicate with the radio. Now I'm completely stumped. I'm using the same PC serial port and cable as I used to perform the upgrade and access the TNC, so the port and serial cable work. I tried the "Auto" baud rate setting and several manual selections and it made no difference. As this is the first time I have used it, I'm wondering if the rear PC port is actually broken. Have I overlooked something stupid? Is there anything else I could try to test if it works? We have had poor weather conditions and the roads have been icy but FedEx called as usual around lunch time to the neighbour across the road who has a regular delivery. And Interlink Direct called to pick up two packages of items I'd sold on eBay the shipment of which I'd arranged online yesterday. (Tip: use the code XMAS10 to get £5 off a delivery before Christmas.) So I don't think that's a valid excuse, really. I wonder what the chances are that I will actually receive my new toy tomorrow? I just hope that when it does arrive I don't find they have lived up to the other meaning of their acronym: United Package Smashers. It's a good job I looked at the beacon reports this morning or I wouldn't have noticed that there were no reception reports for the 20m band. The problem was that I had visited 20m yesterday and put the K3 into data mode. An annoying feature of the K3 is that when you change bands it restores the mode you last used on that band. It does that even if the band change is being made under software control, even if the mode it is restoring is inappropriate for the frequency you are changing to under the band plan. This is totally bonkers logic because no computer program worth its salt should make assumptions about the state of the radio so when changing the frequency it should also set the mode. Unfortunately if it sets the mode too quickly, or before the frequency change is sent, the K3 "feature" overrides the mode set by the software. Consequently the option in Faros to "force CW mode" doesn't work on the K3 and you are left in the mode you last used on that band. This was on 80m, running 25W to the bent 80plus2 dipole in the attic. I also copied snatches from WD4KPD and KC2DMC. I have never worked across the Atlantic on 80m on any mode, so this new mode seems quite promising. Windows PC users now have the option to try yet another weak signal digital mode. Called V4, it is described as "a robust, easy to use, keyboard sound card mode that would fit into the narrow digital segments of our HF bands." The mode is 200Hz wide and capable of sending text at 40 - 60 words per minute. Do we need yet another keyboard digital mode? Although PSK31 is very popular and very narrow, performance deteriorates under conditions of multipath reception (such as in NVIS propagation) or when the ionosphere is disturbed (polar paths during periods of auroral activity) while RTTY, though also popular, is archaic, inefficient and successful only by brute force methods (a big amplifier and a beam.) More robust FSK modes such as MFSK, Olivia, Thor and DominoEX perform better but are much wider which can be a barrier to use. V4 uses the same robust modulation scheme as WINMOR but has been optimized for use as a keyboard chat mode. A detailed protocol description can be found here and the software can be obtained after joining the V4 Protocol Yahoo Group. I have only just been admitted to the group so I have some reading to catch up on and it will be a few days before I can find the time to try V4 for myself. However I am quite interested in this mode which seems to have been developed by licensed hams keeping in mind the need for responsible band use (so no 2.2kHz wide signals!) and with all the details being published and open. The software modem has been implemented as a standalone TNC that can be interfaced with other applications such as my own program KComm which is also interesting to me. So I think you can expect to hear more about the V4 Protocol in this blog in the weeks to come. These days the computer is usually running from when I get up (or after breakfast) until when I go to bed in order to run my HF and VHF APRS gateways so it is no extra trouble to do some beacon monitoring as well. I don't have a spare radio or antenna so I will have to use my main radio (my K3) and antenna for the beacon monitor. This means that if I want to go on the air the beacon monitoring will stop. Currently my enthusiasm for actually making contacts is at a very low ebb so this is not much of a problem. I shall still shut down at night and restart in the morning, at least during the winter months when there is no night time propagation on 20m and up. Apart from the pointless waste of joules, the loud click from the K3 each time Faros changes bands will be a disturbance as the shack is only just across the landing from our bedroom. The antenna I am using is the short multiband 80plus2 dipole bent to fit into the roof space, with additional 10m and 6m elements. It works fine on 20, 15, 12 and 10m. On 17m I can get a good SWR with the aid of the K3's built-in tuner (which is the source of the loud clicks) but performance is noticeably down on the magnetic loop. However, the magnetic loop is used by my K2 for the HF APRS gateway so it is not available. VE3SUN has written a very good article explaining how to set up a system to display the beacon reception charts created by Faros on a web page. It looked easy so I went ahead and set up an IBP Beacon Reception page on G4ILO's Shack. I found that the WinSCP software that VE3SUN recommends to automate the uploading of the reception charts to the website popped up annoying windows whenever it updates so I used SyncBack SE instead. Unlike WinSCP it isn't free, but I had purchased a license a few years ago and the code still worked with the latest version. I have added to the page a short list of currently active beacon monitors to make it easy to compare my reception reports with other people's. It would be nice if, instead of each beacon monitor having his own results on his own web site, there was a central site that collated all the IBP reception reports and displayed them on a map, like WSPR does. Perhaps that would rejuvenate interest in the IBP which seems to have been overshadowed in recent years by WSPR and reverse beacons. I have never understood why Microsoft has become the most successful software company in the world. When compared to similar products the underlying design of their software, to me, seems unnecessarily complex. And the company couldn't care less about backward compatibility and breaking something when bringing out a new version. Microsoft software development tools, compared to third party products like Delphi or Lazarus, are far more difficult to use in my opinion. Visual Basic long ago ceased to be a "basic" programming language for amateurs like myself. I had an idea for a program to run on my HTC Touch Pro smartphone that needed to access the phone's internal GPS. A couple of months ago I actually got a good way towards implementing it for the Android platform (even though I'd never programmed in Java before) just by downloading the source code of someone else's GPS application and modifying it using the free development tools. But because my phone was running an unofficial port of Android on which not all features worked I could only run it in an emulator, not transfer the app to the phone. In any case, the XD Android port was unstable and ate battery power even worse than Windows Mobile did, so I had to go back using WM 6.1 despite the fact that under Android it was a much nicer phone. 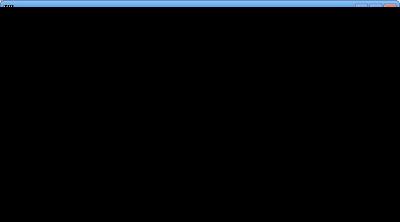 So I thought I'd have a go at writing my program for Windows Mobile. I had a copy of Visual Studio 2005 sitting on the shelf. So as before, I started Googling for example programs for accessing a GPS. If I am writing a program for Windows desktop using Lazarus / Free Pascal I can Google for what I am trying to do and nearly always find code I can use. Even if it was written for Borland Delphi in 1996 it usually still works. The problem with the Windows smartphone / PDA platform is that it has been through many incompatible incarnations in less time than that. There is Windows CE, Pocket PC, Windows Mobile versions 4, 5, 6 and 6.1, Windows Smartphone, Windows Phone 7, Compact Net Framework 1.0, Compact Net Framework 2.0 and Compact Net Framework 3.5. If you do manage to find a relevant example there is no guarantee that it is actually compatible with the development tools and SDKs you have installed on your PC, or with your mobile device. The first program I tried that actually did anything came with two DLLs, one for serial port access and one to decode the GPS data. That would print out a few NMEA strings and then fail with an exception. None of the other examples I tried would do anything at all. The problem with the first program appeared to be in the serial port DLL, so I tried to upgrade it to version 2.0 of the .Net Compact Framework which had built-in serial port support. I copied examples of serial port access code but although the program didn't crash it never received anything from the GPS at all, even though I knew it was working (e.g. by running APRSISCE.) Unfortunately when run from Visual Studio the Net CF 2.0 programs would display an error on the phone that "this device has a newer version of the Compact Framework installed that must be uninstalled first." I wasn't about to do that since who knows what it would break. So much for backward compatibility. One of the reasons implementing my idea was so easy on the Android platform is that Google had provided a GPS object that gave you ready to use data. On Windows Mobile you have to listen to the GPS via a serial port and then parse the NMEA data that comes out. So, having failed to find a GPS example that would run for more than a couple of seconds I decided to look for serial port examples. None of those would receive any data from the GPS either. I even found a free GPS test application. That would receive several lines of data from the GPS then disappear without trace. At this point I started to wonder if there was a problem with the internal GPS of my HTC Touch Pro. I did some more Googling and found that users of some GPS apps on HTC smartphones with internal GPS had found these apps did not recognize the internal GPS or timed out while waiting to get data from it. Presumably these apps had been written based on the same code examples I had been trying. One user had found the only way to get the GPS data into the program was to use a program called GPSGate. But this was a commercial program, costing money, which I had no wish to spend just to see if this worked when everything else hadn't. After a couple of days of fruitless effort my interest in continuing with this project had evaporated completely so I gave up. At least, unlike with abortive hardware projects, no components were wasted. I restored the PC back to a couple of days earlier to remove all the hundreds of megabytes of APIs, SDKs and examples I'd installed. And I have gained a new respect for people who actually manage to develop software using Microsoft tools. I have just uploaded a minor update to the Windows version of KComm, my logging and digital modes program for Elecraft K2 and K3 transceivers. Version 1.91 now supports the ability to specify the receive and transmit sound devices using the device name rather than a number which Windows appeared to change at will. I had been unable to find a way to get the sound card device names from Windows using Free Pascal and happened to mention this during a discussion in the Yahoo digital modes group about how so many sound card programs seemed to lose the sound card settings under newer versions of Windows. Patrick, F6CTE, who is the author of MultiPSK, very kindly responded with some Delphi Pascal code to list the installed sound devices. This has now been incorporated in KComm and makes sound card selection much easier - especially for me as I am always adding and removing USB audio devices on the shack computer which changes the numbering. My grateful thanks to Patrick for his help with this little problem. I have not been keeping up with the development of the controversial ROS digital mode as for reasons given in earlier posts I decided it was not something I wanted to use. However a recent post in the Yahoo digital modes group brought to my attention a development that seems rather alarming. The ROS software has recently included an anti-jamming switch the purpose of which is described as "improves rejection against strong CW and Beacons interferences." Polite usage of the amateur bands require that you check the frequency is in use before making a call so no-one should be jamming anybody. Furthermore, no-one should be using ROS in the CW or beacon sub bands. So what exactly is the purpose of this switch and why should anyone need it? 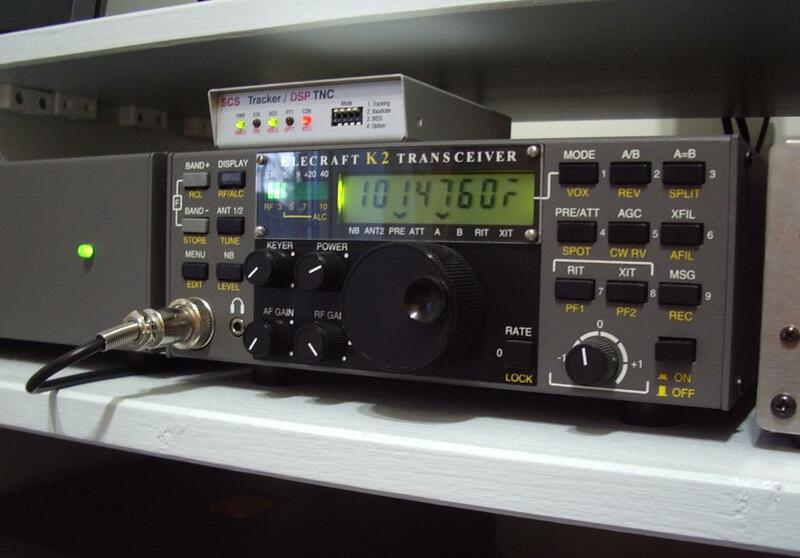 "The New ROS/2000 passed the test successfully during the CW Contest last weekend." "More test with the New ROS/2000 in other hostile environment. This time during a PSK63 Contest on Sunday." As I said all along (indeed, this was my original objection to the use of this mode) ROS is just too wide for use in the narrow digital allocations of the HF bands. There just isn't the space for it, unless it remains a niche, occasionally used mode, which clearly its developer and supporters don't intend it to be. As another comment in the ROS forum states: "The bands will fill up once people realize how good this mode is." The development of anti-jam techniques suggest that ROS is being readied to engage in war with users of other modes. When users can't find a clear frequency they will just operate on top of other modes. 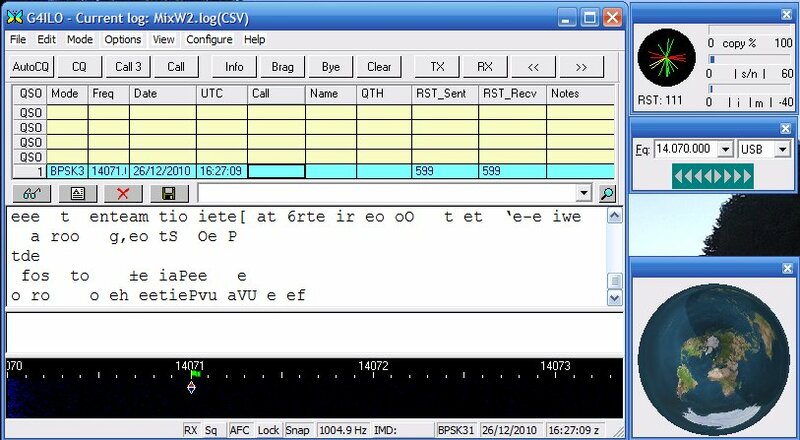 The principal claimed advantage of the wide ROS mode is that it enables contacts to be made under similar weak signal conditions to JT65A but that it permits keyboard chats to take place rather than the basic exchange of signal reports and locators. So it appears that a vast swathe of spectrum space is going to be made unusable for other modes simply so that people can exchange brag files. We need strict regulation of digital modes on the amateur bands. The days of gentlemen's agreements are over. There are too many modes competing for limited spectrum space, and too many hams who aren't gentlemen. I think I may have discovered one of the best kept secrets in radio. 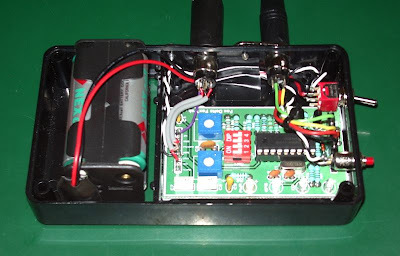 I have been thinking, off and on, about how to make a very low power 2m FM transmitter in order to get weather data into my APRS system wirelessly. A circuit using the Motorola MC2833P chip is quite easy to build, and I even have one in my parts box, but a custom crystal to multiply up to 144.800MHz would cost about £25 to be made which just isn't worth it. 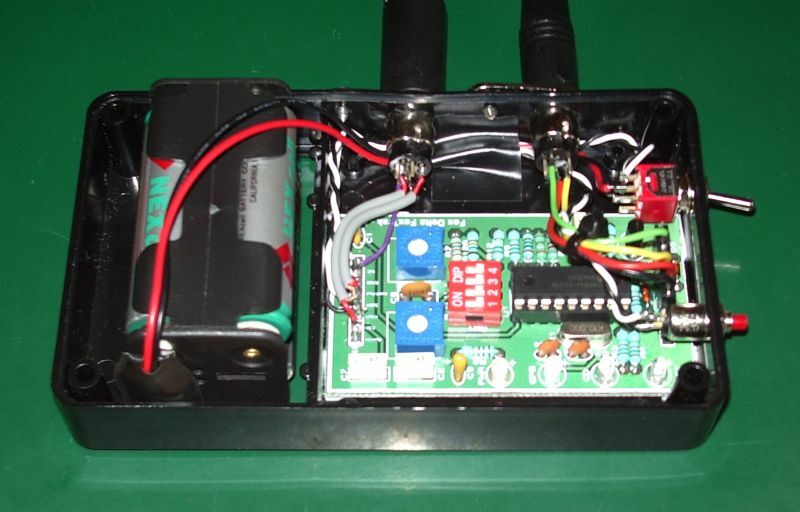 One day I was browsing looking at various APRS articles and came across a tracker someone had built using a VHF transmitter module from Radiometrix. I had come across this site before but thought that a) these modules were only for transmitting digital data not the AFSK that we use, b) they were not manufactured for amateur frequencies and c) they were not available in one-off quantities for individual private purchasers. I submitted an enquiry, stating that I was interested in purchasing one TX1 low power (10mW) module on 144.800MHz if the price was within my amateur budget, and was amazed to be informed that they would be happy to offer the module for £13.00 plus carriage and VAT, with a lead time of five days. In total it came to not much more than £20 which is amazing considering many professional electronics suppliers specify a minimum order value greater than that. The picture of the module is much larger than it actually is - the pins are the standard 0.1in spacing. As I am nowhere near actually needing to use it at the moment, I hooked it up on the breadboard to give it a quick test. The module does indeed accept an audio input: as described in the data sheet you should bias the input pin and then feed it with audio at a couple of volts amplitude via a blocking capacitor. I lashed it up to my FoxTrak APRS tracker and a braaap was received and decoded by my 2m APRS gateway which was enough of a test to be going on with. There are several other products with interesting ham radio applications on the Radiometrix website. The HX1 is a high power (300mW) version of the module I bought. With the addition of a PA I could turn my FoxTrak into a standalone tracker. 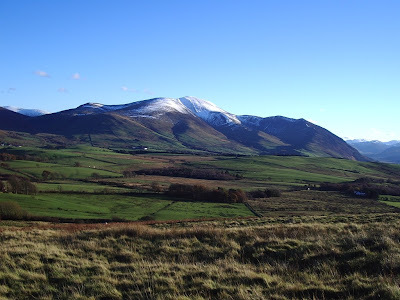 Even by itself it would probably have quite a decent range from the fell tops. 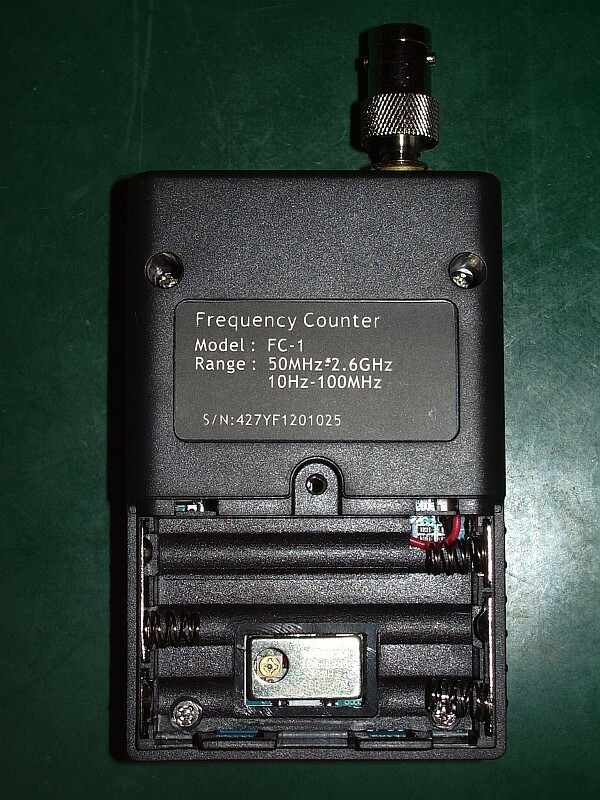 Also of interest is the SHX1 which is described as "a small multi-channel 25kHz narrow band VHF transceiver with up to 500mW RF power output, usable for 144MHz band amateur applications." I think you could build a little hand-held transceiver with one of these, just for fun. Many of these products aren't in the online shop so you can't find out the price or buy online, which is probably just as well as I could see myself ordering some more of these toys for something to play with over Christmas. 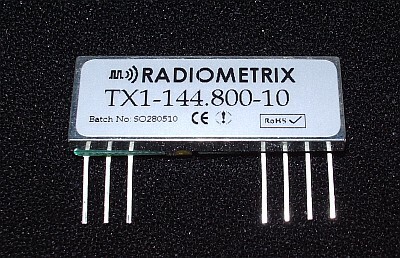 I would certainly be interested to hear from anyone who has used, plans to use or has some ideas for using any of these little radio modules from Radiometrix. I have received many favourable comments whenever I have posted pictures from some of my local walks in this blog. I'm sure this has more to do with the beauty of the landscape than my skill as a photographer or the quality of my camera. Still, your appreciation of my pictures gave me the idea that I could use some of them to create desktop backgrounds or wallpapers that I could give away as promotional freebies from a website that needs more visitors. Here's a sample of one of them. 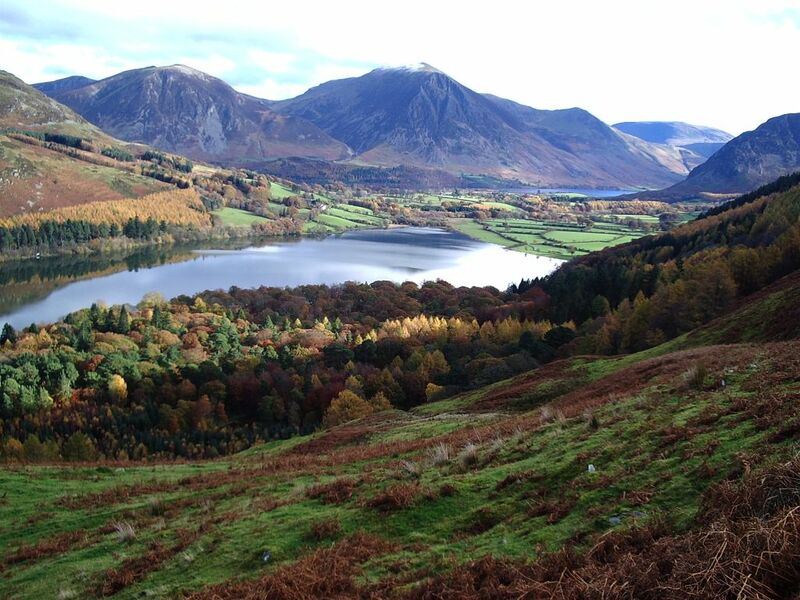 If you would like a view from the English Lakes to brighten up your desktop, please visit Free Desktop Wallpapers. I hope you find something there you like. 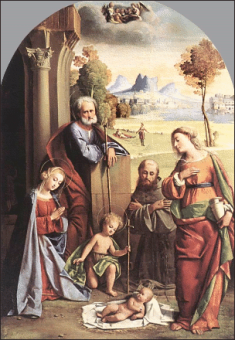 And please feel free to post the link anywhere it might be seen by others who would enjoy the images. Every little helps! 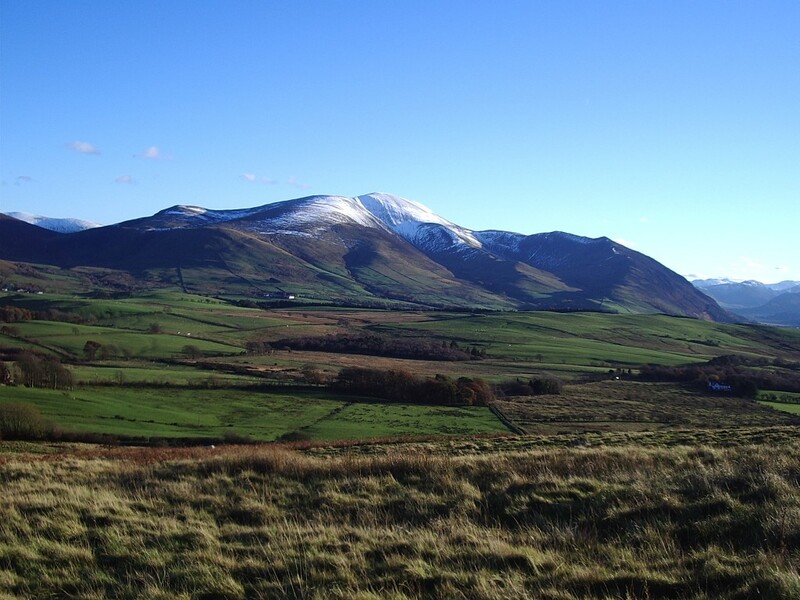 What a day it has been for activity in the Lake District fells! Although the day isn't over the light is beginning to fade as I write this and I'm guessing there won't be any more activations today. But a quick count of the spots on the Wainwrights On The Air website shows there have been a total of 22 different fells activated by 6 different people which is probably a Wainwrights record. At times the spots were coming so thick and fast that there was a danger of missing someone because you spent too long calling another station. And the fell-top stations had a hard job finding a clear frequency. Many had to QSY two or three times from their original chosen frequency because they landed on top of someone else's contact. Perhaps we need to consider moving to 70cm for WOTA? I myself made 16 contacts and added 7 new summits to my chaser total. 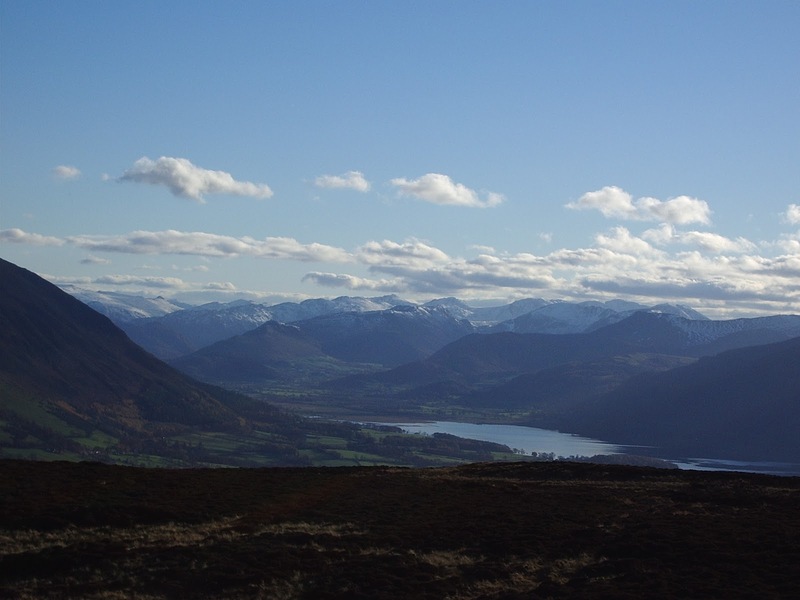 I wish I could have been out on the fells myself to gain a bit of elevation and work some of the more distant ones. But this has still been my most productive day of WOTA chasing. Thanks to Phil G4OBK, Geoff GM4WHA, Phil M0AYB, Richard G1JTD and Colin G4UXH for the contacts. 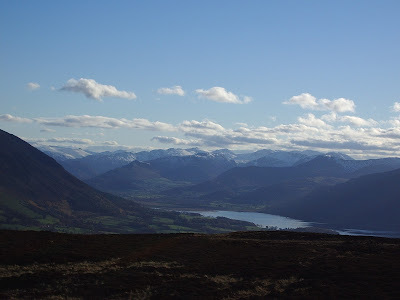 Visit Phil G4OBK's Wainwrights blog where he will no doubt be posting an account of today's activity with pictures shortly. In this case, 5W of WSPR on 40m to a bent attic dipole. Not, perhaps, as impressive as M0XPD's results with 50mW on 30m. But it's still nice to be heard on the other side of the planet. I received two emails this morning from people who had received spam from someone who claimed to have got their profile from my website G4ILO's Shack. I don't have user profiles on my site. The only place the spammer could have got the email address is from the visitors' book, and sure enough when I checked both these people had made entries in it. I guess it was only a matter of time, given that computers are now much faster, before spammers started using embedded web browsers to load web pages before scanning them for email addresses. That is the only explanation I have for this. I have removed the display of the email address from the visitors book comments entirely, which should prevent this happening in future. Some visitors ask questions or mention something interesting in their comments and I thought it would be useful for those who read them to be able to reply if they wish. But I doubt that many people take advantage of this so removing the email address is probably no great loss. The winds of economic change are starting to have an effect on our online business. Because of that I am spending a lot more time on the computer trying to maintain our search engine positions and think of new revenue streams, with the consequence that I have less time or enthusiasm for blogging and other radio-related activities. The only noteworthy item of radio news at G4ILO has been the acquisition of an SCS Tracker / DSP TNC for HF APRS packet. It is shown in the picture sitting atop my K2. When I find the time, I will write a review of this TNC for my main (non-blog) website. For the time being, all I will say is that I did a side by side comparison with the best of the PC sound card decoders and it was very quickly apparent that the SCS TNC decoded many stations the sound card software didn't. Considering what it cost, I'd have been very disappointed if it hadn't. ... for making the power connector for the FT-817 a nonstandard and apparently unique size. I sacrificed the power cable of a multi-voltage wall-wart which had a set of interchangeable tips to make a cable I could use to run the '817 from my lab bench supply for an experiment. One of the tips looked to my eyes exactly the same as the one on the Yaesu charger, even down to having a yellow plastic insulator at the tip. But stupid me I didn't think to check it would actually go in before severing the cable from the wall-wart and now I find that it doesn't. So not only did the wall-wart lose its cable in vain but I now can't do my experiement, since it would have taken longer than the '817's woefully inadequate batteries would permit. Grrr!! I can't even find an FT-817 power cable on eBay. Today was one of those perfect days you sometimes get in winter. It was too good to stay indoors, especially as rain is forecast for tomorrow, so after lunch I packed my APRS tracker and Motorola GP300 in my rucksack and went for a short hike up Binsey, one of the Wainwright hills in the northern Lake District. There had been a frost overnight and even now in the early afternoon the temperature was only a degree or two above freezing. Looking towards the central Lake District across Bassenthwaite Lake you could see the distant hills were covered with a light dusting of snow. Back home I connected up my tracker on the bench and it worked perfectly again. I then put it in my rucksack as it had been while I was out and it started to behave as it had while I was out. Some braaps were accompanied by a sort of farting sound that was probably RF feedback. I'm pretty sure RF is getting in somewhere and causing the tracker board to misbehave, but the question is: where? I've tried moving cables about and clipping ferrites on the leads but so far I'm not sure what is the cause. I hate this kind of problem which can have you going round in circles thinking you've fixed it and then it recurs. I'm not sure yet if the RF is being picked up on one of the cables - both the PS/2 GPS cable and the curly Motorola cable are quite long for this application - or whether it is getting to the module directly since it is only in a plastic case. Perhaps I should try it in a die cast box. Any ideas? I popped up to the shack after watching some evening TV and decided to have a listen to what was happening on JT65A on 40m. I tuned my K3 to 7.076MHz and had only been listening for a couple of minutes when I saw a CQ call from VK6BN appear on the screen. I only just managed to set up a reply before the start of the transmit period and you could have knocked me down with a feather when he came back with a report! We completed the QSO in the minimum 6 minutes. 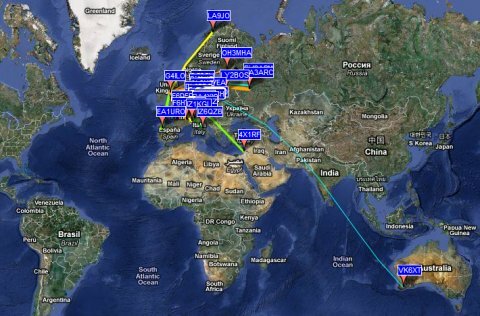 I've been reported in VK before using WSPR, that's nothing unusual, but this is my first ever two-way contact with Australia on any band or mode and I'm pretty amazed to have achieved it on 40m of all bands using just 30 watts to my attic dipole. JT65A really is amazing! As if that wasn't enough, I then worked KE1AF for my first contact with North America on 40m. So I shall be going to bed this evening feeling pretty pleased! 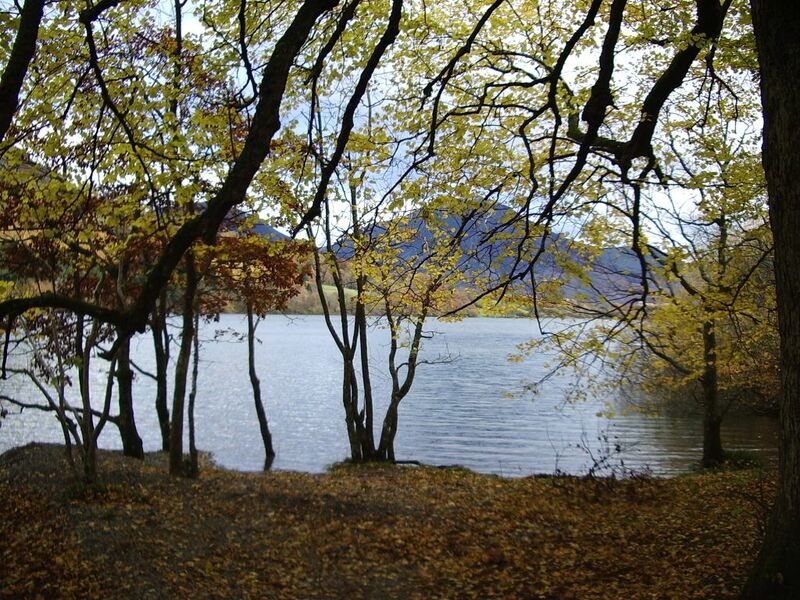 Sunday was a fine but cold autumn day and Olga and I went for a walk near Loweswater. In my rucksack I took the Motorola GP300 and the FoxTrak APRS tracker. This is a somewhat more bulky arrangement than using the VX-8GR, however this hobby has for me always been more about providing a reason to build and tinker about with stuff than using the latest, most efficient technology and using this home-built tracker with a radio I bought for £1 at a rally is just somehow more fun than using Yaesu's latest gadget. I had obtained a cable for the Motorola with the correct two-pin plug to make up an interface. I cut the tip off the 3.5mm jack so that inserting the plug did not cut off the speaker and I programmed a channel on the radio with 144.800 as the transmit frequency and 145.500 as the receive frequency. This meant that I could hear anyone calling CQ during the periods between transmitting position beacons. The downside is that the FoxTrak cannot tell if the APRS frequency is clear before transmitting. But many dumb trackers do that already because they don't have a receiver. In any case, the APRS activity level here is so low that the chances of a collision occurring are about the same as winning the lottery. 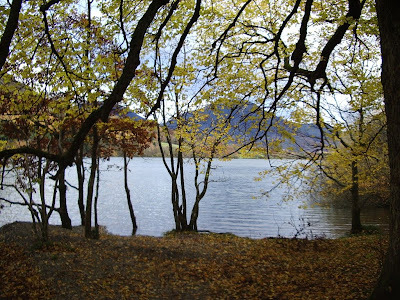 Our walk took us down through the woods to the lake shore and then back to the car. The autumn colours were wonderful - my pictures don't really do justice to them. I expect most of the leaves have now gone. Last night there was a gale and this morning through the overcast we could see wet snow on the mountains down to quite a low altitude. I doubt that there will be many more opportunities for a walk like this before the end of the year. Having an interest in weak signal narrow band modes, not to mention APRS which requires you to park your receiver on a specific frequency, I have always wished that the frequency readout on my radios could be relied upon. The QRSS band, for example, is only 100Hz wide. If your dial reading is out by that much, you'll miss it completely. Many people try to calibrate their transceivers using WWV but that is not often a very good signal over here, and what with all the other carriers around 10MHz - many of them locally generated - you can never be sure that you have tuned to the right signal. 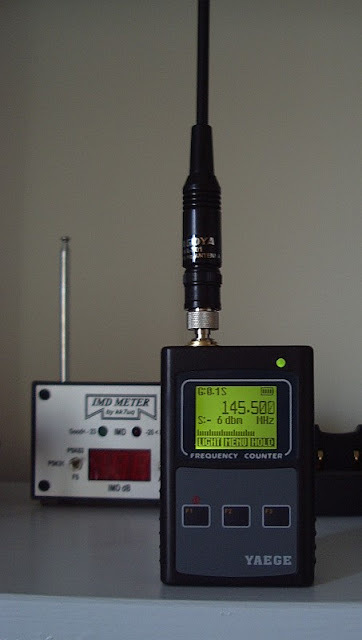 I have wanted an accurate frequency reference for some time so a couple of weeks ago, following a comment by QRSS enthusiast Steve G0XAR, I ordered an Efratom LPRO-101 rubidium frequency standard on eBay. It arrived in about a week. The unit I bought cost about £50 and came with a plug for the 10-pin connector and a 24V switched-mode power supply. These second hand units are widely available. New, they cost over $1,000 even in quantity. They are used in cellular base stations and are manufactured to have a maintenance-free life of ten years. To ensure reliable service the cellphone network providers take the equipment out of service before the ten years is up after which it is presumably shipped to China for reclamation. The used units should have several years of life in them, especially in occasional amateur use. Rubidium frequency standards work by locking a crystal oscillator to the very precise frequency at which the amount of light from a rubidium lamp dips due to a phenomenon known as the hyperfine transition. A synthesizer locked to a reference oscillator is swept through this frequency until the dip is detected. The LPRO-101 includes an oven for the reference crystal, circuits to detect the dip and lock the oscillator, an output that tells you when the unit is locked, and the frequency reference output at 10MHz. The connector also provides signals that can tell you the state of health of the rubidium lamp. Once that fails you may as well scrap the unit because it can only be replaced by the manufacturer at a cost far in excess of what you paid for it. To use the LPRO-101 you could simply attach a 24V supply and connect a cable to the 10MHz output. However, it's useful to have a circuit that shows you when the unit is locked on frequency. I used one shown in an article by KA7OEI built up on a piece of Veroboard, which uses a dual-colour LED to light red when the reference oscillator is unlocked and green when it is locked. You can see the circuit board inside the partially assembled case. The voltage regulator and crystal oven inside the LPRO-101 generate a lot of heat so the unit is intended to be mounted on a heat sink. I purchased a Hammond extruded aluminium case to use for the project, which should provide reasonable heat sinking for the module. One thing I learned from researching on the internet is that the LPRO-101 will run cooler when operated from its minimum recommended supply of 19V. This just so happens to be the output voltage of the power supply for an old Toshiba laptop whose screen failed so I decided to use that instead of the 24V supply that was sent by the seller. The other thing I learned is that the rubidium lamps wear out with time. When they are made, the manufacturer ensures that they contain sufficient rubidium to achieve the stated maintenance free life of ten years, so the expected life in continuous use would be ten years less the use it has already had. If I ran the unit all the time my rig is on - for example as an external frequency reference for a transceiver - then it is going to fail sooner or later. If I only use it for frequency calibration purposes, switching it on only when needed, then it will probably outlast me. The TCXO in my K3 is pretty stable so I should be able to obtain adequate accuracy for my purposes by manually calibrating the master oscillator using the rubidium standard and repeating this as often as necessary. How often that turns out to be, we'll see. Here is the finished unit. Annoyingly, I messed up the front panel of the rather expensive Hammond case. Originally I had intended to use an SMA socket for the output but I didn't get the holes for its two mounting screws in the right place and after filing to fit it looked unsightly. So I fitted a BNC socket instead which is what I should have done in the first place. Unfortunately you can see the two holes for the SMA mounting screws either side of the BNC socket. 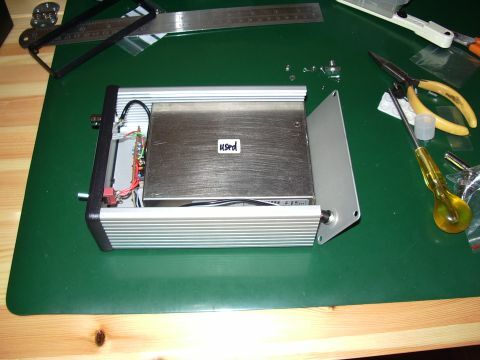 So my frequency standard doesn't look quite as professional as this one built by DL2MDQ. Oh well, it's only a piece of test equipment! I don't know how long it has been around but I only discovered this online propagation prediction tool using the VOACAP prediction engine today. It's very easy to use, and produces a nice chart showing the best times and frequencies to use to make a contact with a particular region. Of course, the predictions are based on the average expected propagation for the month, it won't tell you what the bands are like today, which is why it is better not to waste your time on tools like this and turn on the radio. Today I released a new version of my logging and data communications program for Elecraft transceivers, KComm, on my website. The program is developed in Lazarus / Free Pascal and is released under the GPL. Apart from numerous bug fixes and small improvements I have made in the months since the last release, the new version 1.9 allows the receive and transmit sound devices to be selected separately. This is something that is becoming increasingly necessary, though users will have to play "guess the device number" as I don't know how to find out the names of the sound devices in Free Pascal in order to display them in a list box. 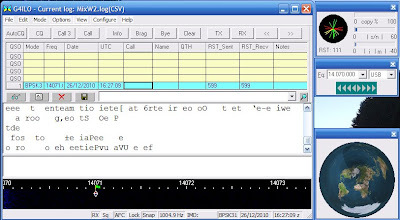 The program also supports the K3 "TB" command which allows it to get the text decoded by the K3 DSP in CW, PSK or RTTY modes and display it on the screen just the same as if you were using a sound card program. Although I have given up developing ham radio programs in general, I am continuing to update and maintain KComm as it is the only one of my programs that I continue to use regularly. However this will be the last version for which I will be able to provide a compiled Linux binary. The screen of the old Linux laptop that I used to compile it has almost failed so I will not in future have a computer on which I can do this. We Brits and our friends across the Atlantic may share a common language but sometimes it seems as if we live on different planets. One of the most obvious examples of this is that Americans sometimes seem to act as if Armageddon could happen at any minute, something that doesn't seem to cause much lost sleep over here. Perhaps I'm jumping to the wrong conclusion based on the higher emphasis given in the USA to the use of ham radio for emergency communications. Read some issues of QST these days and you might think that "emcomms" is what amateur radio is really all about. Many American hams maintain "go kits" - portable radio stations that they keep charged up and ready to go the moment they are needed. Over here we have something called Raynet, but I get the distinct impression that it is a bunch of people who would like to use ham radio to help in an emergency rather than a volunteer emergency service on the lines of, say, Mountain Rescue that has a clearly defined purpose and meets a genuine need. In his latest blog "Smoke Curls" Jeff, KE9V recently posed the question of whether a portable QRP HF station was really useful in the context of emergency preparedness. Most of the replies seem to illustrate the extent to which the thought of a major disaster is never far away from the American consciousness. My comment that the only benefit I could see in having battery powered HF ready to use was so I could take advantage of the noise-free bands while the power is out - which in fact I did during the outage that occurred during the local floods a year ago - probably seemed rather flippant, though that wasn't the intention. My opinion is that emergency communications is a job for the experts and the last thing they need is a bunch of amateurs trying to help but more than likely getting in the way. The Cockermouth floods were the nearest I have ever come to being directly affected by a disaster and it never even entered my head that as a radio amateur I might be able to help. As for needing HF or any other kind of ham radio for personal emergency communications I still feel the likelihood of something happening in which my radio gear might end up being my only means of getting in contact with anyone I needed to is so remote that I'd cross that bridge if I ever came to it. I would never assemble a "go kit". And if I did, I know for sure that I would forget to charge the batteries or raid it for parts I needed for something else so it would never work in the unlikely event it was needed. Is there a cultural difference between us and Americans in this regard, or is it just me? On Saturday I blew the dust (literally!) off my K3's microphone. After I had finished sneezing, I started making some contacts in the CQ WorldWide SSB DX Contest. This was not intended to be a serious competitive effort. My intention was to spend all of the time I could spare that weekend making contest contacts and see how many stations I could work. I spent about an hour on Saturday morning before going with Olga to the garden centre, and a couple of hours in the afternoon. On Sunday I was up earlier than normal because the clocks went back overnight, so I operated for about three hours in the morning before lunch. 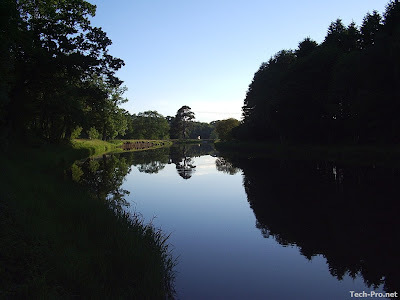 I had intended to do some operating in the afternoon as well but the three hours in the morning had left me feeling a bit tired and stiff so I went for a walk after lunch and then fell asleep on my return home. Getting old is my excuse! I made a total of 154 contacts in 43 different countries and 4 continents during my six hours or so of operating. The detailed breakdown, for those interested, is shown in the screen grab of the contest statistics dialog from KComm (the Extra field shows the number of CQ zones.) This would give me a claimed score of 17,487 points if my calculations are correct, which by comparison with last year's results would place me well down the second half of the All Band Single Operator Low Power Unassisted results table. This was the first time I had made such an effort for an SSB contest. Until now I hated turning on the radio during big SSB contests because the bands sounded like bedlam. But I had never tried with the K3 before. Instead of a mush of intermod, splatter and AGC pumping I could hear everything clearly. Sometimes I could hear two or three stations on the same frequency simultaneously, one in the foreground and a couple in the background. And the superb DSP filtering made it easy to shut out close-by stations so I could copy a weaker one. I often had the passband down to 1.8kHz and copy was still crystal clear. Initially I started off just working the loud ones because I didn't want to waste the serious contesters' time by making them struggle to hear my call. But I found there was no hard and fast rule relating how strong a station was with whether they heard me. One Finnish station, 10dB over 9 with me, just kept on calling as if I wasn't there. But many weaker ones came right back to my first call. Conditions didn't appear to be very good this weekend. I'd hoped to hear some interesting DX on 10m but I heard hardly anyone at all on the band. As always, 20m was the liveliest band, but I made almost as many contacts on 15m, probably because the QRM was less making it easier to make contacts. I didn't work any DX and I only worked one all time new DXCC entity - Svalbard, JW5E. I did hear a VK on 15m on Sunday morning but he had a big pileup going and after trying for about five minutes I decided not to waste any more time and move on. Despite my unspectacular results I thoroughly enjoyed my few hours in the CQ WW DX SSB contest. No doubt QRZ.com and other online forums will be full of grumbles about contests taking over the band for the entire weekend, the only time working people can get on the air etc etc. But if you can't beat them, why not join them? My feeling is that contesting is one of the many different activities you can pursue and to get the most from the hobby you should try as many of those different activities as you can. As this post has hopefully shown, having indoor antennas is no obstacle to working a decent number of stations and earning a respectable score for the time spent. It's not the winning, it's the taking part that counts. I certainly felt like a real participant in this radiosport event and I look forward to seeing my call in the results table next year. My FoxTrak APRS tracker board is now installed in a plastic case, together with 4 x AA NiMH cells which provide near enough 5V to power both the tracker and the GPS. Two mini-DIN sockets on the side of the case allow connection to a PS/2 GPS or PC for configuration, and to the radio. Now I just have to make up interface cables to my radios and install the top half of the case after drilling it and installing the charger socket for the battery. I purchased a GlobalSat BR-355 PS/2 GPS receiver on eBay and it works very well indeed with the FoxTrak, much better than the GPS in the Yaesu VX-8GR. It gets a fix within a couple of minutes when it is sitting on the shack window sill, unlike the VX-8GR which often never finds its position indoors at all, and the position remains rock steady unlike the Yaesu which tends to wander about. I wanted to make a cable to use the tracker with my Motorola GP-300 hand-held. However I found that the jack plugs you can buy from component suppliers have too wide a body and can't plug all the way in to the sockets on the top of the radio, which are a bit recessed. It appears that you need to use a proper moulded plug with the two pins. A cable for the Motorola GP-300 is available on eBay, so I'm waiting for one to arrive. I was luckier with the old Kenwood TH-205E. The sockets for external mic, PTT and speaker are flush with the top of the case and the cable I made up using separate plugs works fine. Lacking a deviation meter I adjusted the audio output so the braaps sounded as loud as those from other APRS stations. However, the TH-205E is a bit big and heavy for portable use, especially as it has a high capacity Ni-Cad battery pack (the original being as dead as a dodo.) I had expected the cable to work just as well with the little TH-F7E, because the Kenwood speaker-mic I have works with both radios. But although PTT works on the smaller Kenwood there is virtually no audio. I have to turn the audio up to maximum on the FoxTrak to get enough signal to be decoded by my gateway, and the deviation is still too low. I am completely foxed by this problem. The only thing I can think of is that it is something to do with using two separate plugs and not the proper moulded two-pin connector used by the speaker-mic. Perhaps, as with the Motorola, the wide body of the plugs is preventing them from going far enough in to disconnect the internal microphone, which is shorting out the audio. Unfortunately the only way to prove this hypothesis would be to buy a cheap Kenwood speaker-mic or programming cable on eBay and cut the cable off. It's a bit of a gamble, as I don't know for sure if that's the solution, and the cables in some of those cheap mics from China are very poorly screened so I could end up with an RF-induced problem. 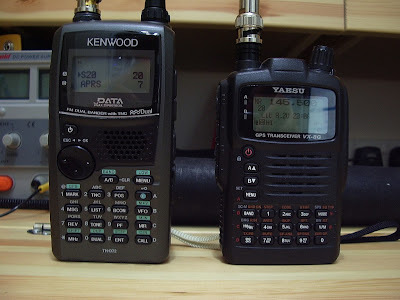 As the owner of a Kenwood TM-D710 I was interested to see that Anastasios, SV8YM, has developed a mod to fix the problem of the failing IF filters which causes these radios to go deaf after a couple of years. As explained in admirable detail in his original article describing the problem, it is caused by electromigration due to the fact that Kenwood omitted DC blocking capacitors on the input and output of the ceramic filters. This issue affects the TS2000 as well. As you can see from Anastasios' excellent photographs, the mod involves cutting some tiny circuit board tracks, bridging between pairs of them with wire, then soldering 0.1uF SMD capacitors between the bridge and the filter input. The TM-D710 has two receivers, each with two filters (one for wide FM and one for narrow FM) each of which has both an input and an output that needs to be treated. So that is 16 tracks that need to be cut and 8 tiny capacitors inserted. I'm afraid working with these tiny components is beyond me, which is a shame as it is now, while my Kenwood is still only a few months old, that it needs to be treated. Thanks to SV8YM for sharing the details of the modification. Version 2.0 of Xastir, the open source APRS client, has just been released. The new version now supports OpenStreetMap mapping, the same as is used by APRSISCE. I was interested to see that the project web page claims it runs on Linux/FreeBSD/Solaris/MacOSX/Windows so I thought I would try it out on my shack PC which runs Windows. I was puzzled that there was only one download file instead of different versions for each platform, but thought that perhaps they had recoded it as a Java application. I downloaded the .tar.gz file. 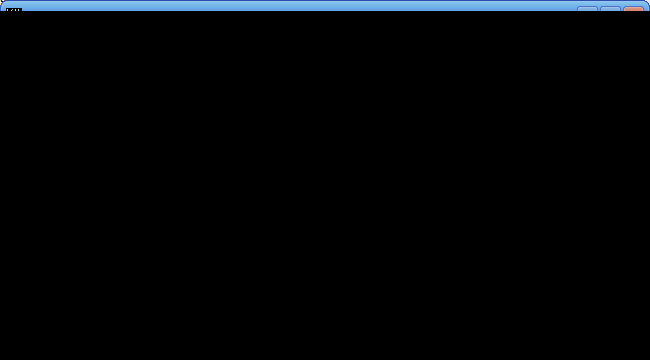 opened it in BitZipper and found a load of source code files but no .EXE. There is a file called readme.W32 which contains a lengthy and complex explanation of how to install the program under Windows which involves compiling it yourself using free software development tools. I seem to recall trying this once with an earlier version and failing. Most other developers of popular free software ham radio apps, such as Fldigi, WSJT and WSPR, now produce ready to run compiled versions for Linux, Windows and any other platform their program runs on. Why can't Xastir's developers do this? Most APRS enthusiasts don't possess a PhD in computing so it's unrealistic to expect them to do it.